The position holder will be a member of Sulawesi Earthquake and Tsunami Operation team. Under oversight of the IFRC Shelter Delegate and technical supervision of the Cash and Shelter Delegates, the Shelter & Cash Officer will provide programme management support and technical expertise for shelter and Cash-Based Intervention (CBI), in the Sulawesi Earthquake and Tsunami Operation. 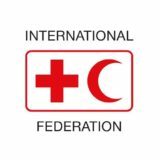 S/he will work closely with other IFRC technical leads and PMI technical staff with the aim of ensuring timely implementation of shelter and cash activities to meet the objectives of the Sulawesi Earthquake and Tsunami Operation. Monitor the shelter activities within the agreed Plans of Actions to provide timely, adequate shelter, maximizing local capacities. Ensure the provision of the required supply chain and supporting logistical services through close consultation with the Federation logistic team. Support and advise all shelter-related activities as required, including technical assessments, project development and contract administration. The candidate should preferably have knowledge of Basic Build Back Safer techniques or PASSA training (Participatory Approach of Safe Shelter Awareness) and CaLP level 1, or 2 or equivalent training, but this is not required.